Since Silverstack 3.2 the default checksum verification system is the recently developed Media Hash List. With the quick MHL verification tool Silverstack compares byte by byte the source file with all of its backup copies to make sure that no file has been corrupted during the copy process. If the verification process result is positive Silverstack will create an .mhl file in the main folder of each backup destination. 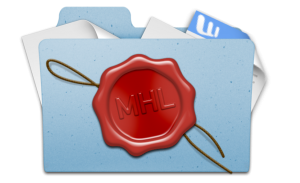 This .mhl file is the seal of file integrity of all copied folders that should go always together with its files, as it will let the user to manually verify each copy of the files to ensure their completeness and consistency. To get more information about the MHL project you can visit its website at http://mediahashlist.org. Since version 5.2 Silverstack is able to “seal” volumes to ensure consistency and completeness even after multiple following copy generations. Learn more about the sealing functionality in Silverstack and the verification of seals and checksums with Pomfort SealVerify from the articles Sealing Drives in Silverstack and Verifying Sealed Drives in Pomfort SealVerify.